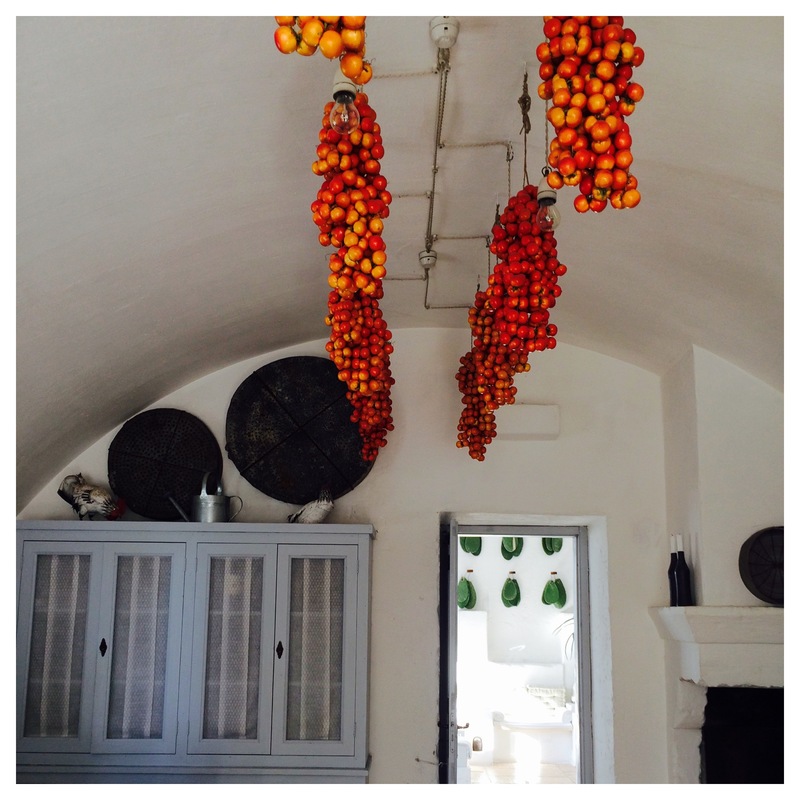 At that junction where sea breezes meet olive trees lies a charming stone farmhouse in the countryside of Puglia. 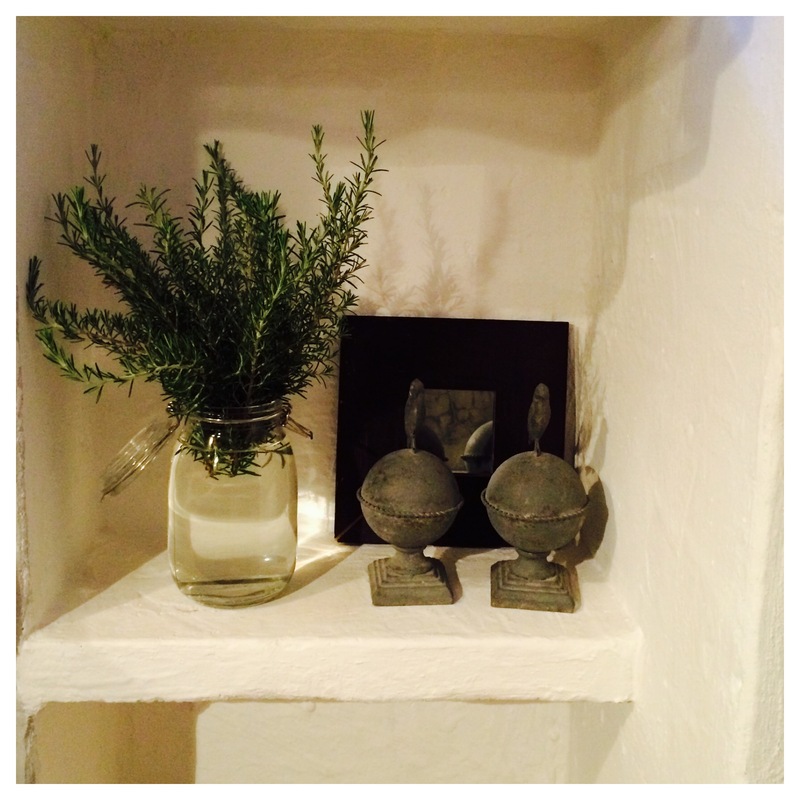 This delightful little place offers relaxed country ambiance with sophisticated touches in a welcoming and homey presentation. More guest house than hotel there are no formal airs here, just an honestly good earthy environment with a splash of chic. Walking through the property one feels a sensual charge of the gorgeous natural surroundings heightened with polished details. 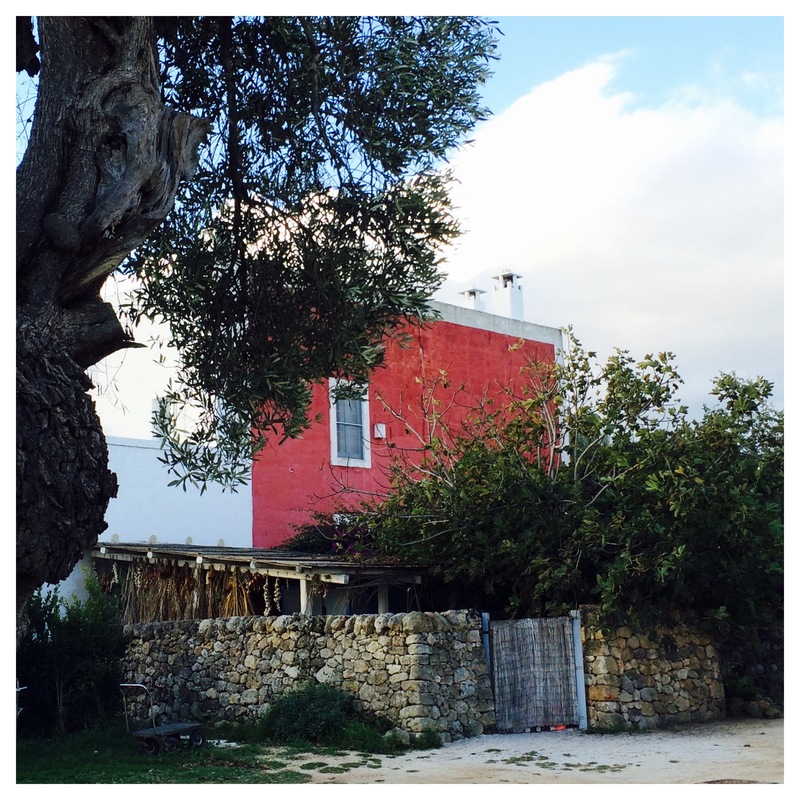 The central stone farmhouse is painted red with pale blue accents and enveloped by the local cacti plants so intricately part of the Pugliese countryside. 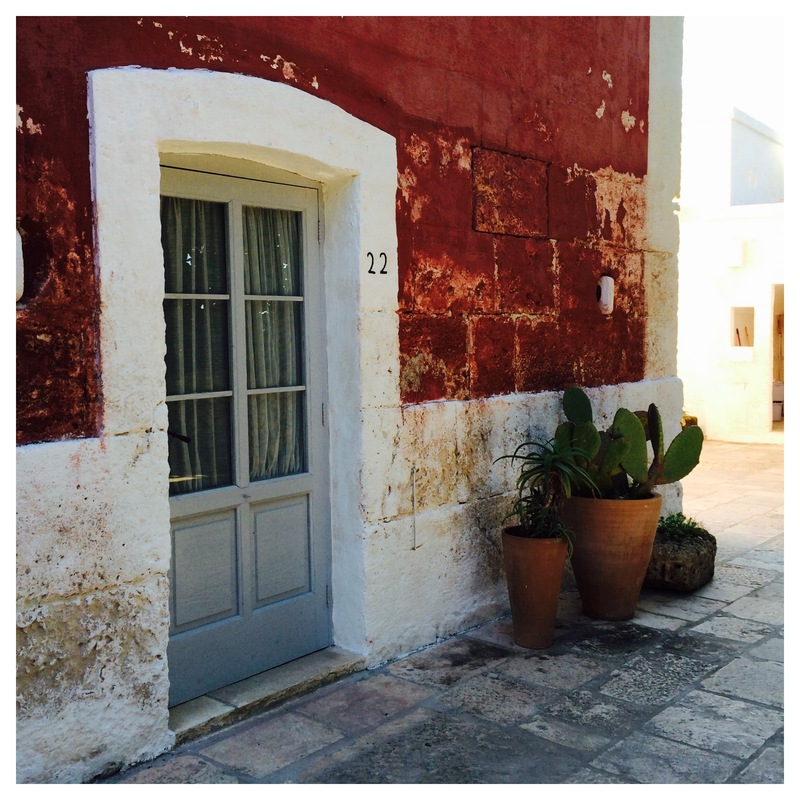 The masseria, or farm, displays laid back formality from the ease at which my bags were taken to my room -before having to be checked in at the front desk-, to the communal dining offering homemade cooking, it felt very much like staying in someone’s home. Rooms are harmonious with the setting yet design forward to the point of being worthy of a glossy magazine. White with pale blue-grey colour scheme complete with flowing white gauze drapery around a stone four poster bed and mood lighting. It is modern country chic. Large stone wash basins in the bathroom were gorgeous, all highlighted by the blue painted wooden shutters and accents throughout. Fresh greenery, some inside large glass vases, and the whimsical decorative touches added elegance to the cozy setting. Everything was there to convey tranquility while the design concept was exhilarating it was so pretty. 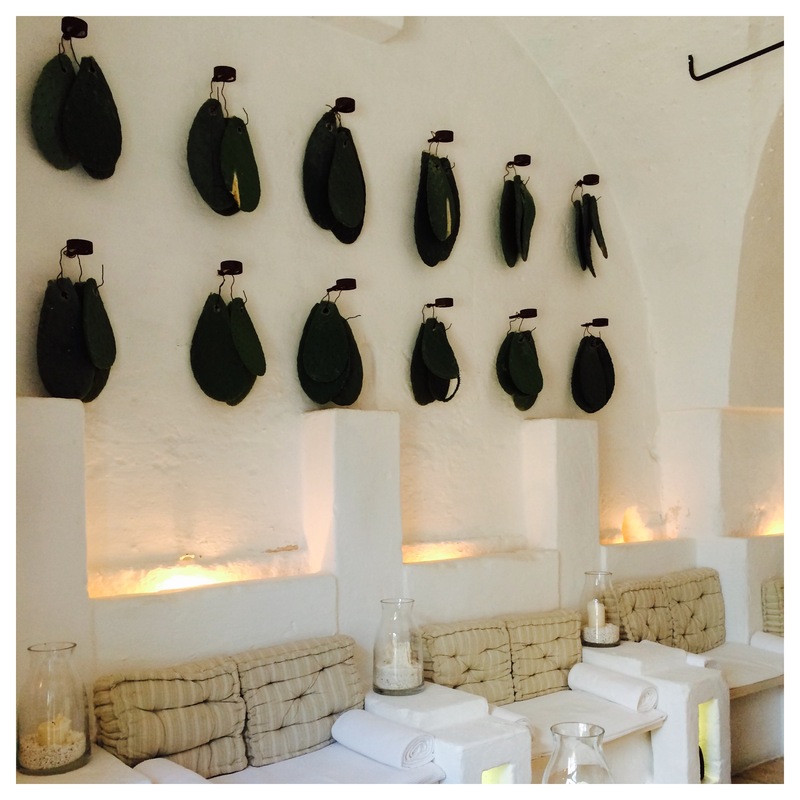 The central house has a small reception desk and sitting area, shared with a small white lounge bar all decorated with Pugliese details of delightful worn cowbells and bunches of cacti palms on the walls. The dining room was distinctly farmhouse fashionable with wooden chairs and tables painted blue and garnished by the dramatic flash of red colour from the groups of drying small tomatoes hanging from the ceiling. 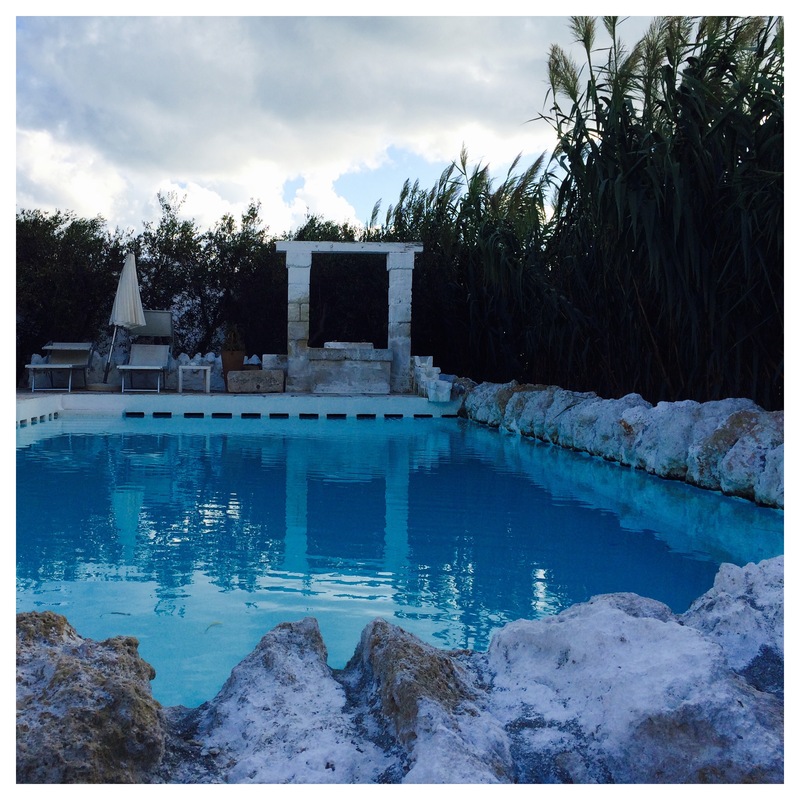 There was informal outdoor seating to enjoy the grounds and ancient olive tress, plus a short five minute walk to the beach and bright blue waters. The natural element is very much part of the design theme throughout the property and it is used in a playful contemporary way to create a tranquil oasis. Half board is encouraged with breakfast and dinner served buffet style in the dining room. Breakfast is relaxed and unstructured, but dinner is served to all guests at one seating time. Food is delicious home cooked traditional Pugliese cuisine from local seasonal produce and served buffet style in three courses of Antipasti, Pasta, and the Main. You will not go hungry for sure! From the farmhouse you are in close driving range of many of the charming Puglia towns and the picturesque villages of the Valle d’Itra. In the warmer months lounge by the refreshing pool, partake in golf at a neighbouring property just up the road or refresh at their near by beach club by the sea. 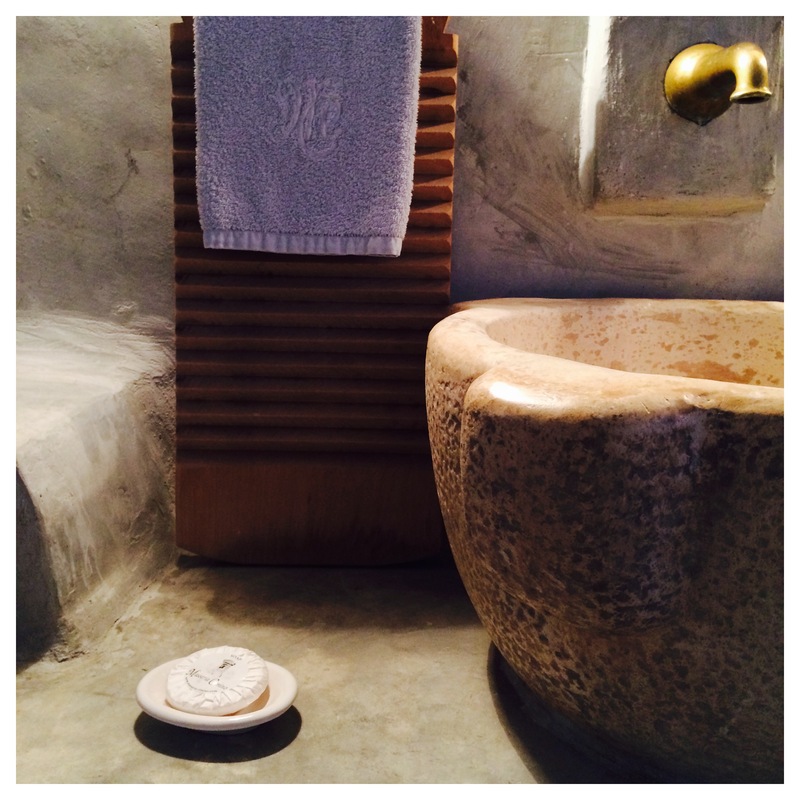 Masseria Cimino is sophisticated charm in the comfort of a stylish home, all the while giving attentive and kind service of being a guest. 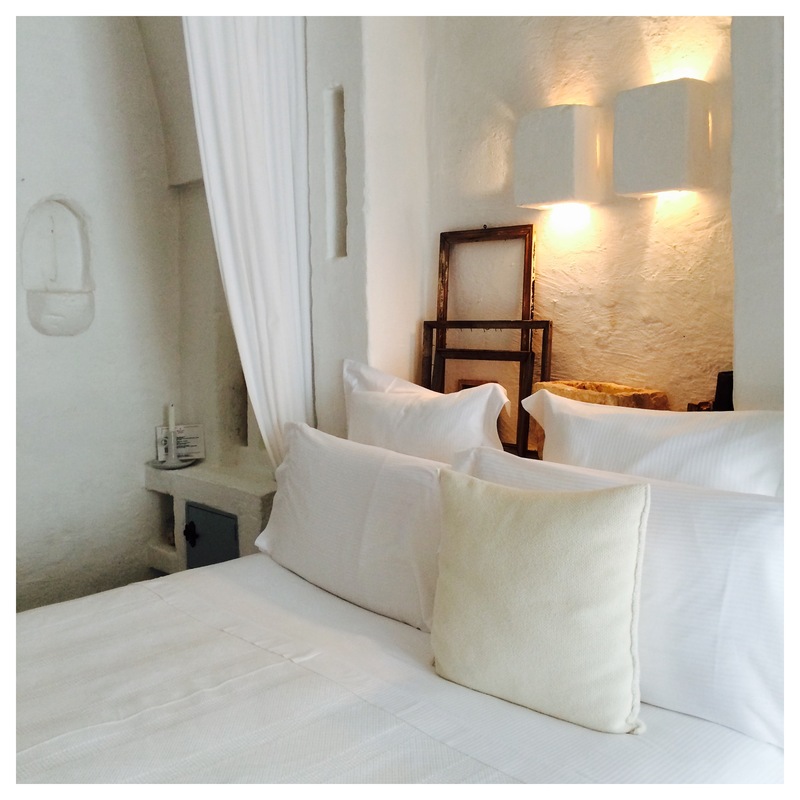 A stay here is personal and set up to accommodate a guest individually and personally. It is happily part of the landscape and is in no hurry to have you go anywhere, so stay and get comfortable. 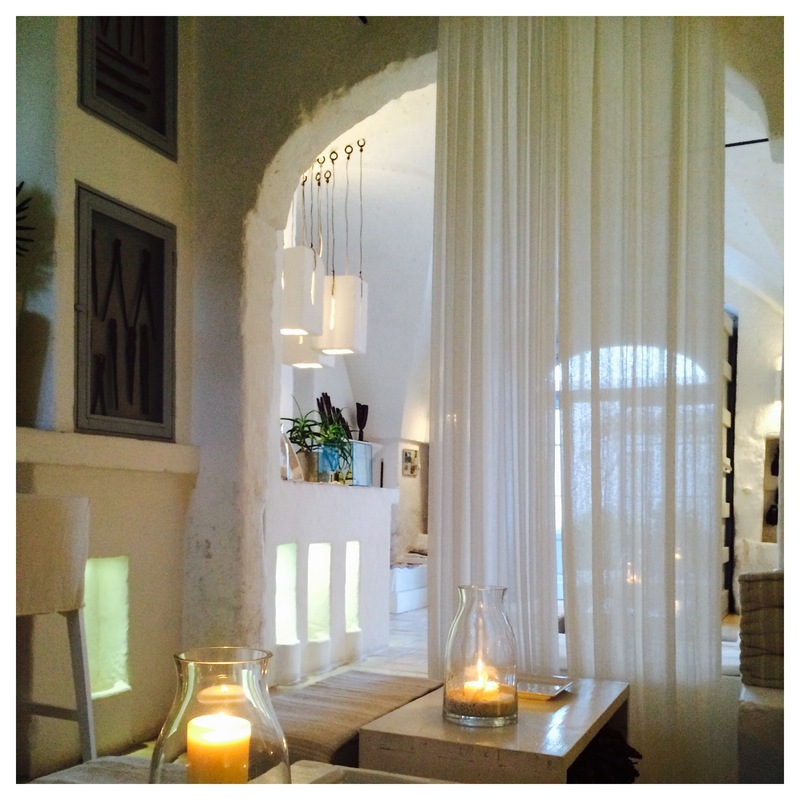 Pros: Absolutely breathtaking setting and surroundings, personal service, and a very relaxed atmosphere. Cons: The communal buffet dining in the evenings were not always convenient if you were tired and wanted to eat a bit earlier, or finish quickly as you had to wait for a whole group of people to finish up their first course before the next course would be served. For the most part it was all fine but if you are in need of a quick bite and then go to your room, there wasn’t that option. Extras: The use of the 18 hole golf course at the near by resort of San Domenico. Some ancient Roman ruins boarder the property. And of course the sea! 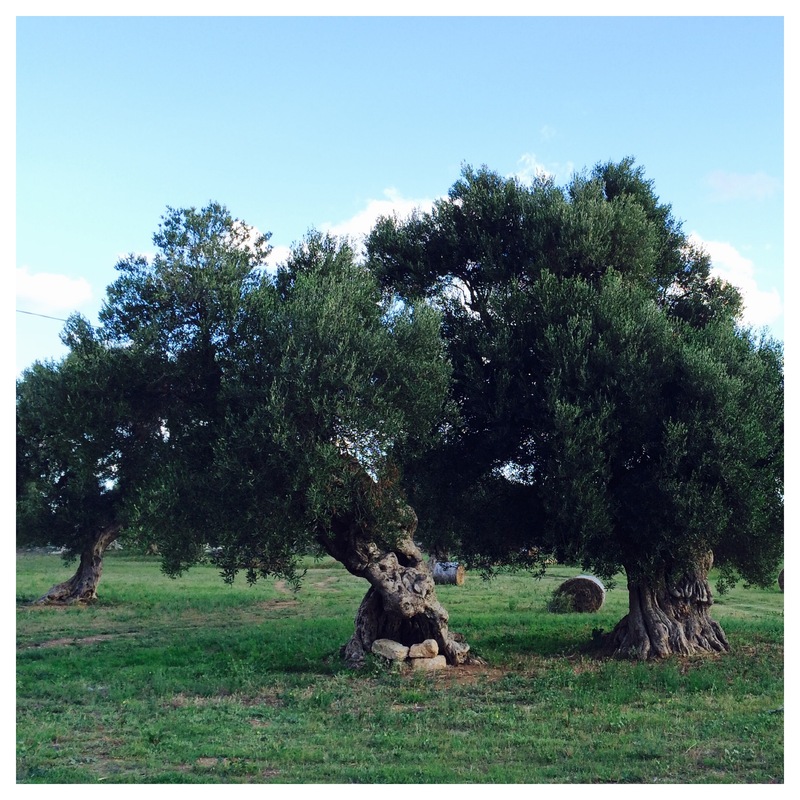 Masseria Cimino makes its own olive oil which can be purchased and during the harvest season you can observe the making of it. 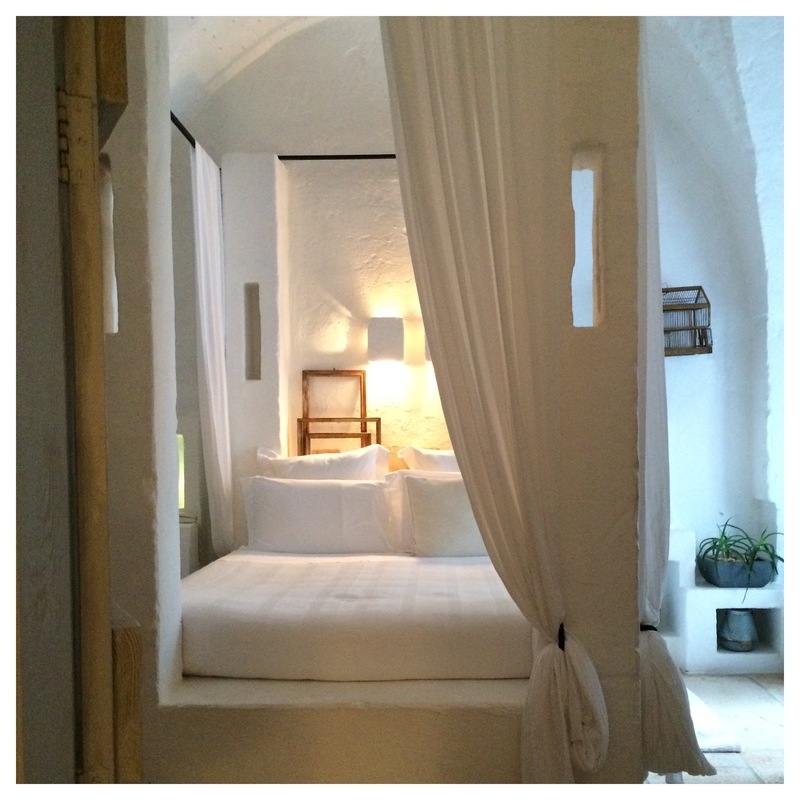 Please note I paid for my own stay and my review is based on my personal experiences while staying at Masseria Cimino.